Disney has launched a new Fantasyland teaser site. The website provides some new artwork, a map, and an email sign-up form to register for updates. The new site can be viewed here. Work on "The Legend of Captain Jack Sparrow," currently under construction at Disney's Hollywood Studios has spilled over to the outside of the building. A construction wall has gone where the queue was located for the former attraction. 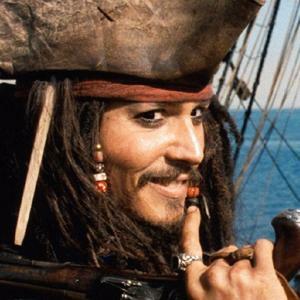 According to Disney, this new attraction will be a first-of-its-kind sensory experience in which Guests will have the chance to be enveloped by the world of the Pirates of the Caribbean as seen in the four feature films. 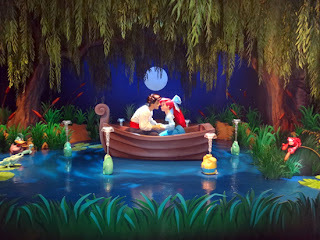 It is scheduled to open in the fall of 2012 in the former Narnia meet and greet location on Mickey Avenue. According to a recently filed construction permit, Epcot will be receiving a new meet and greet location. The new meet and greet is described in the permit as "Epcot - Front of Park meet and greet." The location will most likely be in the former kennel, or the area off to the right-side of the entrance area where the characters currently meet. Disney has yet to confirm the addition. Not to be outdone by Future World, Epcot’s France Pavilion is also getting a permanent character meet and greet location. It is expected to be a gazebo-type structure that will be built in the far right of the pavilion, close to where Aurora currently meets guests. Mizner's Lounge at Disney's Grand Floridian Resort is now closed for a rework into a new temporary quick service location. Mizer's will reopen on 9/1/ 2012, and will offer quick service grab and go dishes while the resort's main quick service restaurant "Gasparilla Grill" closes 9/13/2012 for a major refurbishment, which is expected to last until mid-December. Mizner's quick service will be open throughout the Gasparilla refurbishment. Disney's Animal Kingdom will be offering complimentary locker rental for two hours for anyone riding Kali Rapids. The new lockers are located just by the restroom near the Kali main entrance. This is great news for those of us that did not enjoy having our electronics, bags, etc. soaked. 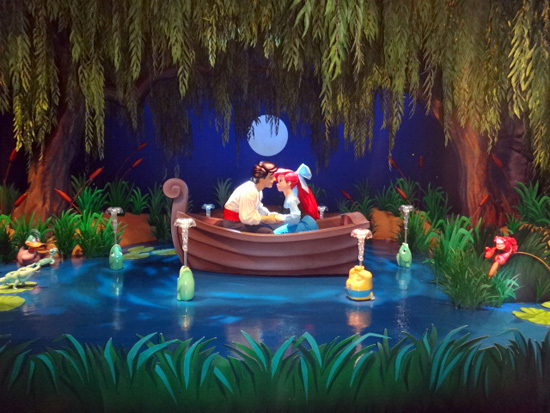 The official Disney Parks Blog has just released a first look inside the Walt Disney World version of "Under the Sea - Journey of the Little Mermaid." Opening on 11/19/2012 in the Magic Kingdom's new Fantasyland, "Under the Sea - Journey of the Little Mermaid" will be the land's signature attraction, featuring an omnimover ride through audio-animatronic scenes from the Little Mermaid movie. It looks like the legacy of Magic Kingdom being a dry park is over. Be our Guest in the Fantasyland expansion will be the first restaurant in the 41-year history of the Magic Kingdom to serve alcohol. The beverage menu includes twenty wines, most available by glass or bottle, including champagnes, white, rosé, red, and dessert as a selection of four beers imported from France and Belgium.